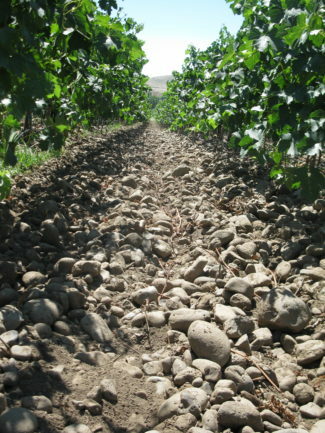 The Rocks District of Milton-Freewater on the South side of the Walla Walla Valley AVA in Oregon. Freewater very cobbly loam: Soils of the Freewater series are comprised mainly of basaltic alluvium derived from the erosion of the Blue Mountains. 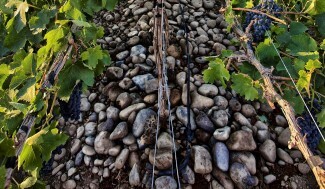 The course rocky nature of these soils provides many key viticultural advantages. 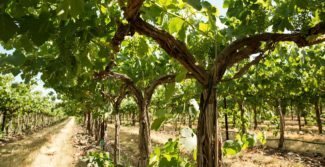 The vineyard is situated on a warmer portion of The Rocks District, with a gentle slope which provides good air drainage. The Rocks District vineyards tend to bud break early and then slow down considerably during the final ripening phase due to a significant diurnal temperature swing. The average annual precipitation is 11 inches. Copyright ©2019 Saviah Cellars. All Rights Reserved. Site Designed and Developed by SiteCrafting.